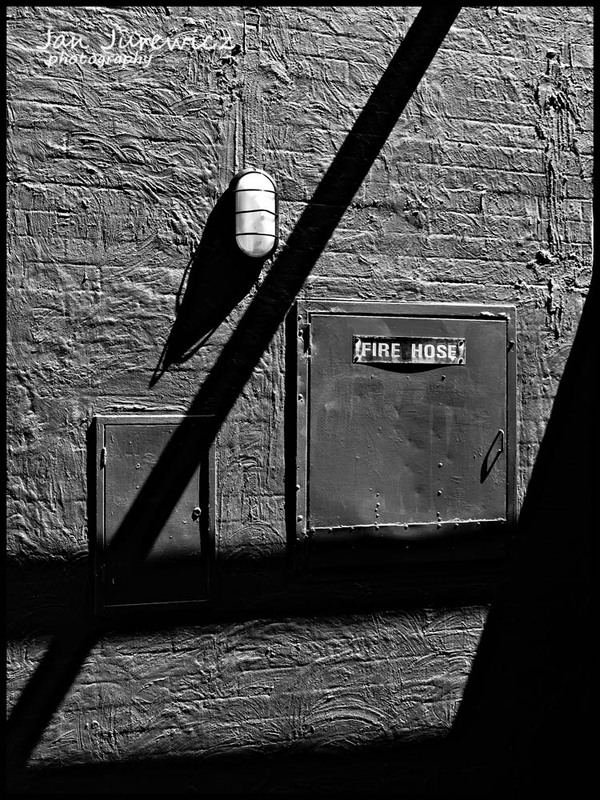 During my photo walks around towns, I attempt to walk up and down all streets and alleys in order to get as many different viewpoints as possible. Often going down alleys yields an interesting picture. In this case the light caught my attention and how it raised the texture of the wall and how black the shadows where. Once again the sun at a high angle made the shot.